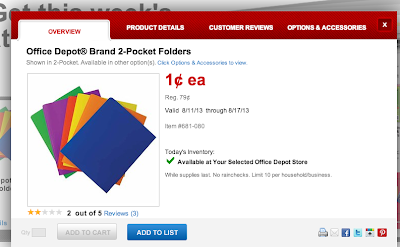 Office Depot is having a back to school sale and 2-Pocket Folders are $0.01 Each. 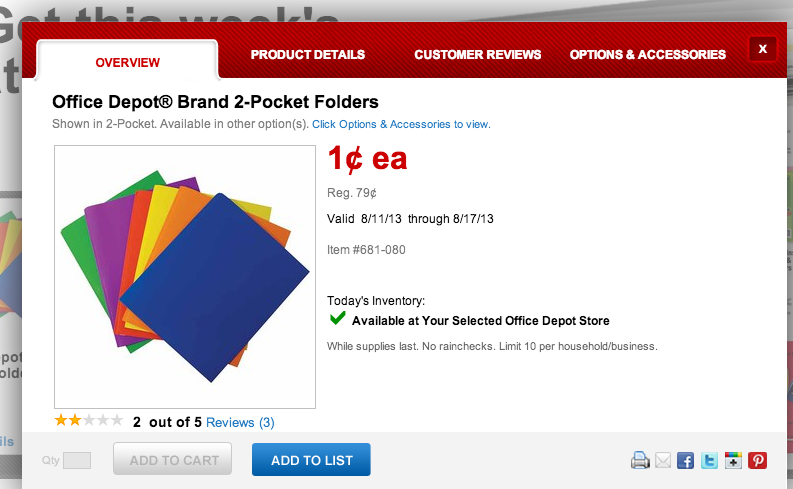 In store only and a limit of 10 purchases per person. Thank you RL for the tip.